With one of the most beautiful views of the Ossos Bay, the Pousada Barlavento is located less than a quarter mile from João Fernandes beach, one of the most popular beaches of Armação dos Buzios.Opened in 1997, the Pousada Barlavento has been providing, throughout the years, a comfortable and unique stay to guests that come to Buzios looking for fun or rest. 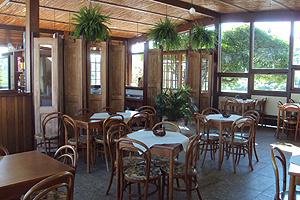 In Pousada Barlavento, the guest can count on a kind staff and all comfort needed in one of the 25 guest rooms. The relaxing integration of the nature with a cozy atmosphere makes this a unique place. From the breakfast saloon, the pool or the rooms, the guest can see a fantastic picture of the Ossos Bay, the boats in the port and the gorgeous sunset. 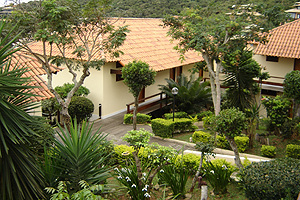 When would you like to stay at Barlavento Pousada Hotel ? 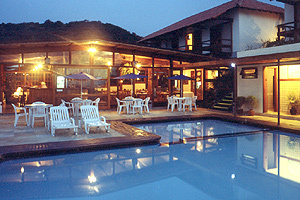 1) Rates at the Barlavento Pousada Hotel may not be valid during Carnival, New Years, Easter and other special dates.